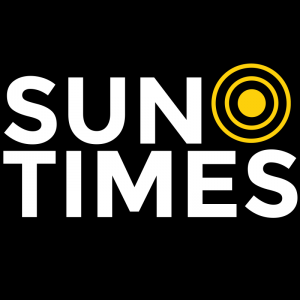 This article was originally published by the Chicago Tribune. For the majority of his life, Nasir Bin Zakaria was a citizen of nowhere. He was 14 when he was kidnapped by militants at a bazaar in west Myanmar. “Kalah,” they hissed at him, a racial slur used toward Rohingya — the ethnic Muslim minority residing among the country’s Buddhist majority. He spent a night at the militant camp before escaping to Malaysia. He never saw his parents again. 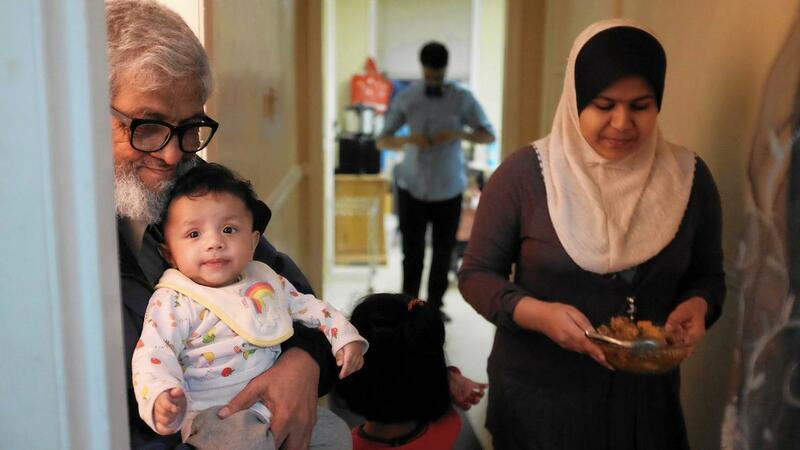 Now, at 45, he’s among almost 1,000 Rohingya refugees who’ve found a new home in Chicago, the majority of whom began arriving in 2013. The local group makes up nearly a fifth of the Rohingya refugees resettled across the country since 2010, U.S. Department of State officials said. Most of the roughly 300 Rohingya families in Chicago live in the Rogers Park and Albany Park neighborhoods. Up until now, they’ve had little help navigating Chicago life. This year, however, the Rohingya population grew large enough for the Zakat Foundation of America, an Islamic nonprofit, to sponsor opening the Rohingya Cultural Center, a West Rogers Park storefront equipped with meeting space and computers. The center was the brainchild of Bin Zakaria, who saw a need for a place where Rohingya refugees could do everything from study English to practice their faith. The center also provides incoming Rohingya refugees unfamiliar with American society sorely needed practical advice, such as not giving out one’s Social Security number, or the proper way to answer multiple-choice questions on a driving test. The center opened April 9 and allows Rohingya families to work on their children’s English homework together and prepare for citizenship tests. It also gives families space to worship in an open setting for the first time. Prayers are held daily, and the center also offers instruction on the Quran to children and adults. Abdul Jabbar, a refugee who came to Chicago in 2012, said the center creates an environment that helps keep the Rohingya heritage and culture alive. In Myanmar, formerly known as Burma, the Rohingya were deprived of the most fundamental form of identity — citizenship — despite having lived in the country for several generations. They have been persecuted since a regime change in 1962, and conditions grew worse in 2013, when religious tensions with the Buddhist-led regime heightened and the government forced thousands of Rohingya into designated camps, said Vikram Nehru, a senior associate with the Carnegie Endowment for International Peace. In the camps, few Rohingya had access to education or health care. Mothers rarely left their homes, fearing their sons would be arrested or kidnapped by patrolling militants. Nehru estimates about 800,000 Rohingya still live in Myanmar, though accurate numbers are difficult to come by. Myanmar’s official census gathers information from dozens of ethnic groups but excludes Rohingya due to their stateless status, he said. Most of the Rohingya who have fled have left in ships carrying hundreds of refugees packed tightly together. In some instances, Rohingya have drowned when their ships sank, Nehru said. Others have been exploited by human traffickers, and sometimes killed by their captors, he said. In November 2014, more than 16,000 Rohingya fled by boat in just two weeks, largely facilitated by military and security forces, as well as criminal smugglers and traffickers, according to the Department of State’s 2014 human rights report on Myanmar. Officials estimate that since 2012, at least 100,000 Rohingya reportedly have fled Myanmar’s western coast, where most Rohingya reside. The Chicago Rohingya are hoping the community center, located on Devon Avenue, will make Chicago more attractive for Rohingya resettlement. For the most part, however, the Rohingya and other refugee groups don’t have much input on where in the United States they’ll be relocated, said Helen Sweitzer, resettlement director at the Chicago agency RefugeeOne. The agency has resettled 265 Rohingya since 2010, with most arriving in 2015. If a refugee applies for U.S. relocation overseas and mentions they have a family member in Chicago, the U.S. government will do its best to resettle them in Chicago, Sweitzer said. After escaping militants from the Myanmar jungles at age 14, Bin Zakaria spent nearly two decades living undocumented in Malaysia working at a construction job. He applied for U.S. citizenship and, once approved, brought along his wife, Laila Mouhmadsoun, and daughter, Zubaida, in 2013. Bin Zakaria pitched the idea for the center to the Zakat Foundation last May, and took a monthlong leave from his job as a dishwasher at a casino in Des Plaines so he could focus on the center’s development. To him, providing the Rohingya with a space to educate themselves was a priority. Children were being placed into middle and high schools with no previous education, and needed tutoring. The center also provides English language classes for adult Rohingya. “If I quit my job, it doesn’t matter. If I lose the center, these 1,000 people will suffer,” he said. Sisters Nur and Sajidah Omarsultan, 16 and 12, respectively, grew up in Malaysia, where they had not attended school since kindergarten. They arrived with their family in Chicago in 2011, and Sajidah now attends Clinton Elementary School on the Far North Side. It’s still hard to make friends at times, she said, but she’s overjoyed about the prospect of finishing high school, and eventually attending college — something no one in her family thought possible five years ago.